We are bound to love and adore the Holy Spirit in our souls as really and truly as we are bound to adore Jesus Christ on the Altar. Nay, more; as an eminent Dominican theologian remarks, we have in a way a greater obligation to adore the Holy Spirit in our souls than to adore Jesus Christ on the altar, because if we fail to honor Jesus Christ on the altar, many others who enter the church will adore Him, so that He will not be abandoned and left alone. But if we fail to adore, honor and love the Holy Spirit in our souls, He is completely abandoned and left alone. No one can take our place. This is our personal obligation. What an immense joy and consolation it is, we repeat, for us to know that the Holy Spirit is really, truly and personally in our souls. We are His living tabernacles. He is always with us. It seems incredible that few Christians realize this wonderful truth. They never think of the Holy Spirit during the long hours of the day; much less do they honor Him during the night, during their seven or eight hours of sleep. But how can they honor the Holy Ghost when they are asleep? By realizing that He is with them when asleep and by offering their sleep in His honor...What a joy it would be to them if at night when they awaken, and sometimes when they remain awake for hours at a time, they spoke lovingly to Him and enjoyed His presence. And again how consoling for the sick, when suffering and alone, if they felt that the Holy Spirit Himself was really and truly with them. They never perhaps heard of this beautiful doctrine. 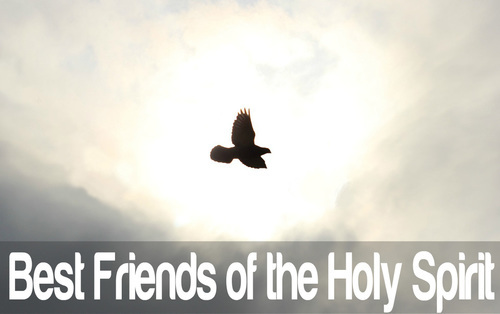 Holy Spirit, Fire of Love, My Best Friend fill me with your Love Forever! 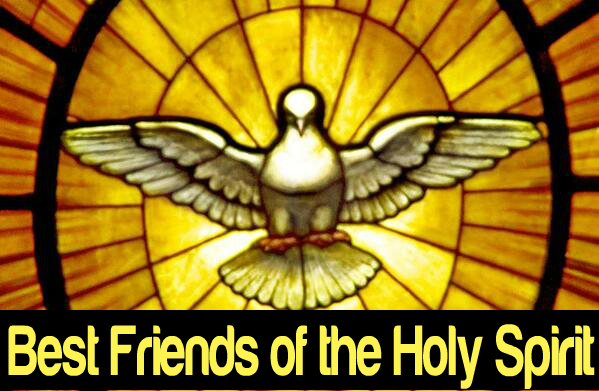 Finally: Talk to your Best Friend whenever you can and truly become a Best Friend of the Holy Spirit!